An office is first and foremost a place of business. Your office is surely no different. And the nature of business means that you constantly have to adapt to changes – changes in demand, changes in the market, changes in costs and expenses, and even changes in technology. Part of adapting to change means that managers and owners need to recognize when a business has outgrown its space or needs to move on to a different area. Office Removals most commonly happen as a business is expanding. You may be hiring more workers and don’t want your employees to be on top of each other in a cramped space. It’s possible that your office is moving because the lease at your current location is being raised. Another reason for an Office Removal is a change of location based on the market. If you customer base or product changes or if you are trying to appeal to a particular demographic, it may be important to be in a strategic location that is easy to find. BUDGET PLANNING Get free online quote Call us now on 020 8746 4336. Whatever business you are in – from estate sales to clothing sales, a bakery or a medical office, we at Moving Company can ensure a swift and safe Office Removal for your important documents, fragile machinery and all the other items that you use to keep your business functioning every day. There are many factors to consider when moving your office, and some of what comes with this endeavor could make or break your business. For example, if you decide on an Office Removal to save on expenses, make sure you think through all the scenarios – what if you move, but you are no longer centrally located for your customers. What if the new location is inconvenient for a majority of your employees? Is the new office surrounded by coffee shops and places to eat or will your employees need to bring lunch with them every day from now on. You may think that all you need to do is move all of the office furniture and print new letterhead with your new address, but an Office Removal can require a period of adjustment from everyone. When deciding whether to embark on an Office Removal, it may be a good idea to get your employees’ input. They are, after all, the face of your business and if an Office Removal will make them unhappy, it may lead to turnover and new, unforeseen expenses in terms of training new employees. There is also the question of when is a good time to undertake an Office Removal. If your business is seasonal, it would make sense to start the process when business is a bit slower. That way you will have time to attend to all the details without interfering with everyday activities. But moving during the off-season could mean that customers will not be able to find your business in its new location when you re-open. Advertising or letting your customers know ahead of time might make the difference between continued success or losing customers who can no longer conveniently reach your office. So as you can see, it’s not all about just saving money when it comes to an Office Removal. 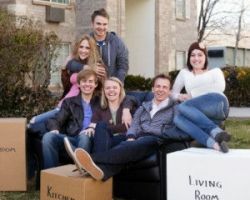 There are many considerations you must make before hiring a Removal Services company like Moving Company. But once you have studied your market and finances and have decided to move, that’s where we come in. There is a lot of information on this site that can save you hassle later, so take the time to browse everything we have here, but do not hesitate to call us on 020 8746 4336 to see how we can advise you and help you get started with this big and important step in growing your business and hopefully your profits. We can save you money on your Office Removal so you and your employees can get back to making money as soon as possible. Getting your employees on board is an important strategy when it comes time for your Office Removal. Make sure they are not taken by surprise, that they have enough time to plan how they will get to work if they take public transportation or if they will now have longer commutes. Leave time for a period of adjusting while everyone gets used to the new digs. Don’t expect the office to be back up and running the minute the moving van pulls away, but remain encouraging so that things get back to normal as quickly as possible. Employees can even help you with the move by packing things they will need right away and labeling them “Urgent” while leaving other items for transport later on. They will know what equipment and files are most important for day-to-day use, so rely on their suggestions to help with the packing. We can also help with the packing. Our professionals will show up at your office door on time, ready to work until the job is complete. They are trained to handle office equipment with care and to respect confidentiality of important documents. You don’t want just anyone doing your Office Removal, you want a company you can trust. That company is Moving Company. We know that each Office Removal is different and requires a unique set of skills and tools, time and energy. That’s why we can design the Office Removal to fit the office. Isn’t that revolutionary? Why would you hire a huge crew with huge trucks if you have a small office and not much furniture to move? You wouldn’t, would you? You can provide you with as many or as few movers as necessary. And most importantly, we will work around your schedule so as not to disrupt office functions. If your office is open from 9 am until 5 pm, we can start loading boxes after your office closes for the day. We’ll provide the boxes, the technique, the manpower and the vehicles. You just need to tell us where to drive the moving truck.